On this day, my 4th anniversary of serving as a Scoutmaster, I got to thinking about what I might have done differently. What do I know now that I didn’t know then? …and what would I change if I had the chance to do it all over again? Better yet, what would I tell someone who just got called to be a new Scoutmaster?? For starters, I would say CONGRATS! This is one of the best places you can be an example on so many levels in the lives of our youth. 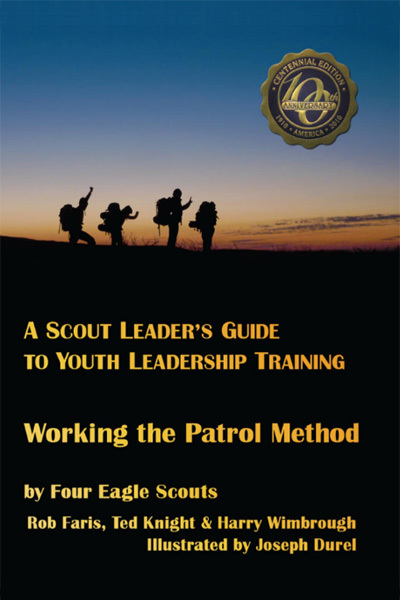 Then I would ask you to go buy a copy of The Scoutmaster Handbook to begin understanding the scouting program. For only $5, this is the official resource from BSA that should be used as THEE manual. Think of it as the map you’d need to find a place you’ve never been to or not at all familiar with. While you come to understand the bigger picture, I would begin facilitating the weekly activities by getting your troop’s youth leaders to agree upon and working toward some common goals. BSA offers a framework to help with this – it’s called Journey To Excellence. Each goal the Patrol chooses to focus on can serve as agenda items to discuss (and periodically review) during your Patrol Leader’s Council (or Deacon’s Quorum Presidency meeting). As the boys work through the goal structure of JTE, I would use another BSA framework to guide yourself in developing a highly functional team. It’s the Adult Square Knot recognition program. I feel this is one way of showing the boys that you are committed to working through requirements just like you are asking them to do. It also provides you with another map of things that can help lead you down the right path. Every boy really does deserve a trained leader…and even though you “think” you know what to do and how to do it, or smart enough to figure it out on your own, attend the training anyway. There is *always* something more to learn or a different point of view that could help take it to another level. Don’t be overwhelmed, just pick one thing and get started! Oh, and this advice applies to Assistant Scoutmasters and other adult scout leaders too. 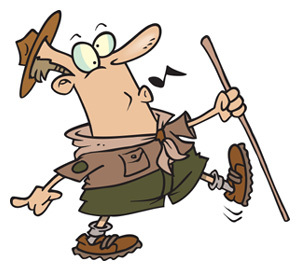 This entry was posted in Leading by Example, New Leader and tagged adult square knot awards, adult training, bsa, handbook, journey to excellence, jte, patrol method, plc, roundtable, scoutmaster, troop goals, university of scouting, wood badge. Bookmark the permalink.